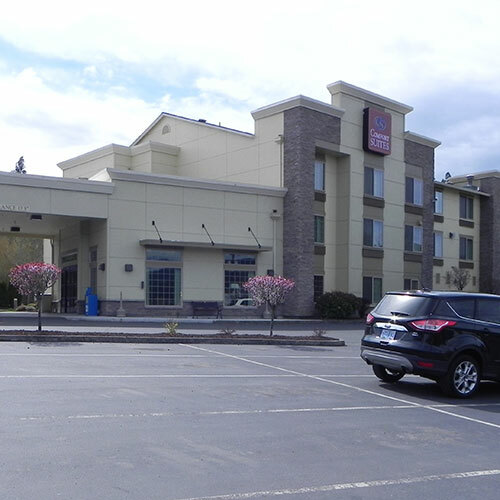 Just a short drive from downtown and fairly convenient to an interstate exit, this comfortable property offers large guest rooms with all rooms having a large desk and small sofa. Smoke free premises. 64 units. 3 stories, interior corridors. Accessibility (Call). I-84 exit 62, 0.6 mi se. 2625 Cascade Ave 97031.